Living on an island, close to the beach is definitely a dream come true. I can’t believe it’s already one month that I live in Bali. For me, Canggu is the place to be. 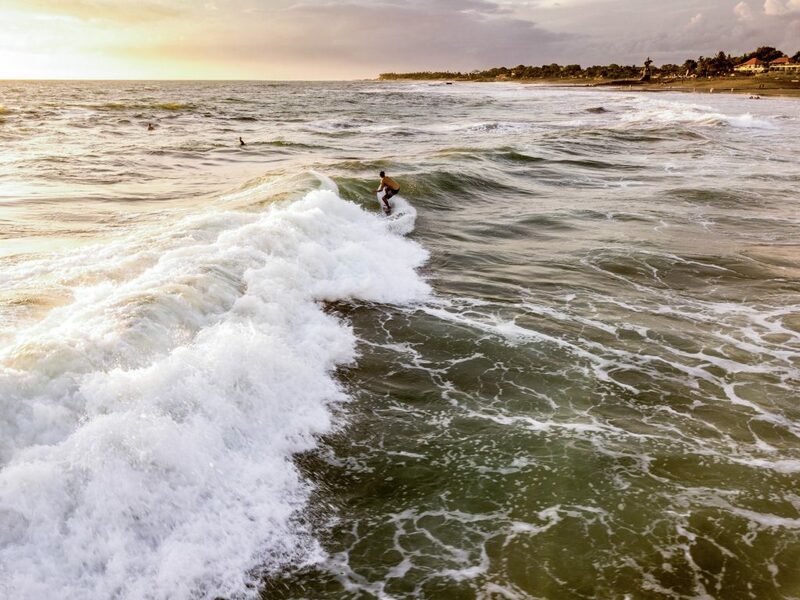 The fact that I can surf, swim, do yoga and explore new things makes Bali a special place to me. Spending my free time in nature is something I really miss when I am in the Netherlands. Also, love the fact that living here is quite cheap; accommodation, food, gas, transport and services. 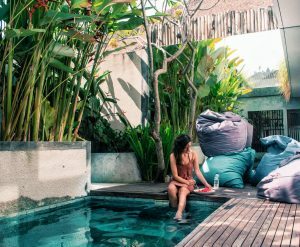 This is gonna be a big blog post full of my best tips about living and working as a digital nomad in Canggu, Bali. Bali is a little Island in Indonesia. More popular nowadays and has definitely a lot to offer. Relaxing, sports, shopping, culture and a lot of nature. 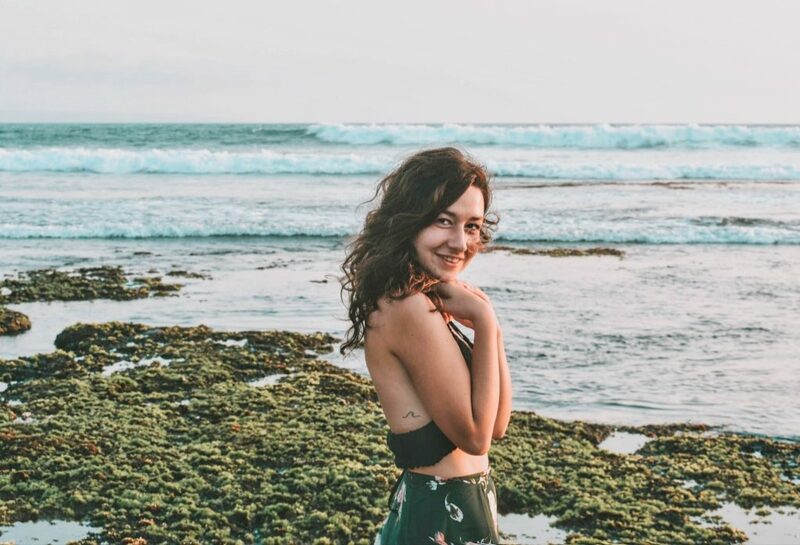 Most people know about the Batur volcano in, the Tegalalang ricefields close to Ubud, the dolphin watching in Lovina, the cliffs in Ullawatu and the surf vibes in Canggu. 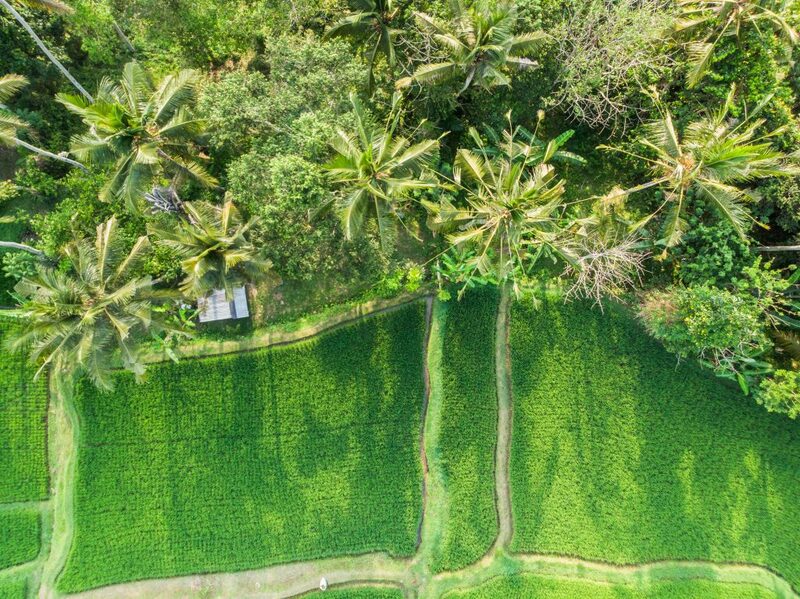 Bali has a tropical monsoon climate with two seasons, dry (May till September) and wet (October till April). However, in the wet season, the sun will shine and it’s not rainy all day. So, it’s actually perfect to visit. A little bit of rain and fewer people! Also, cheaper accommodation prices, because it’s low season. 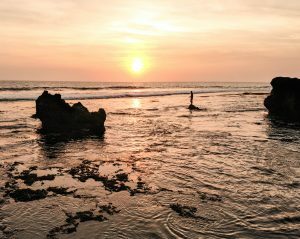 In this guide, I will tell you everything about living and visiting Canggu, because this place is worth sharing! 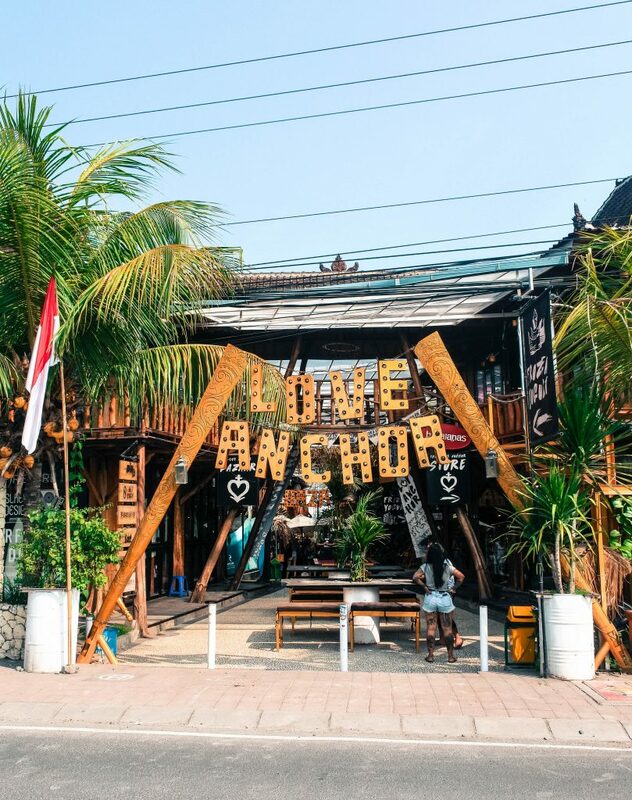 This place is by far one the hippest places in Bali. 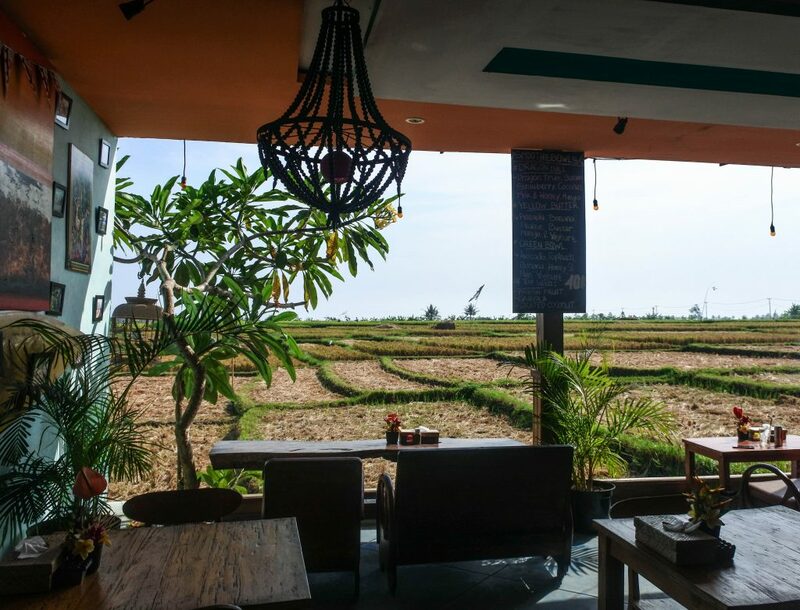 Canggu is a village surrounded by rice fields and close to the beach. Where it was a couple years ago a quiet little surf village, it’s now the place to be. 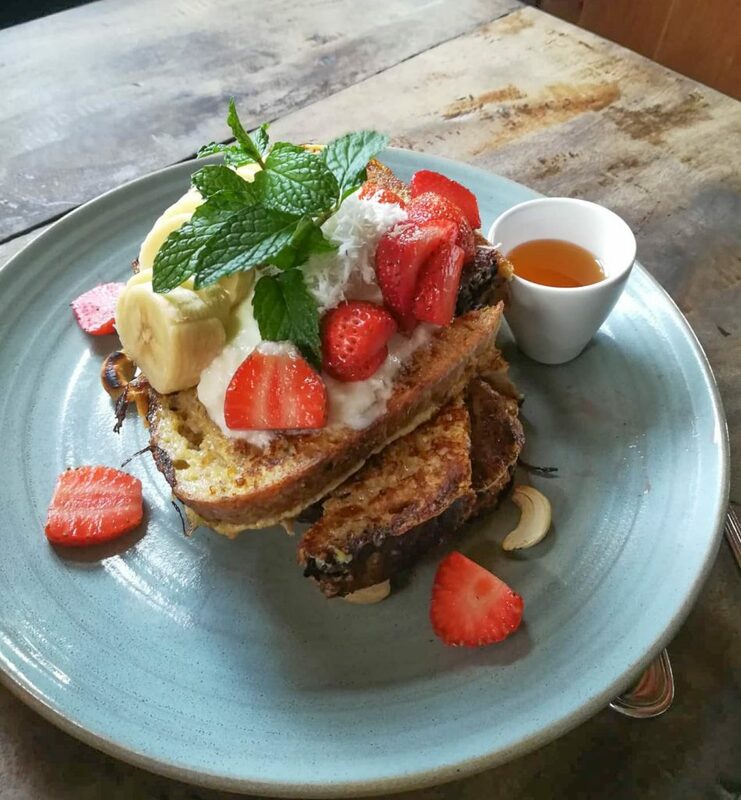 This place is famous for surfing (the championships are here), the digital nomad scene is upcoming, there are shopping boutiques, the food cafes are amazing (healthy, vegan food, glutenfree or good Indonesian food everywhere), the nightlife is great and the coffee is good for Asia. 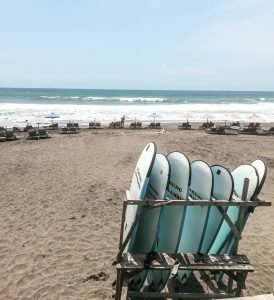 And, it’s not that crowded as Kuta or Seminyak, however, it’s definitely more crowded than it was a couple years ago. 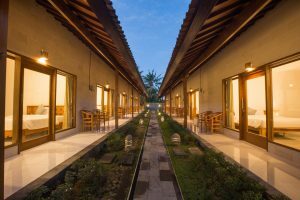 Still, this places has the chill vibes and everything for a perfect stay in Bali. Because this review is honest, I also will give some reasons why Canggu is maybe not your place to be. 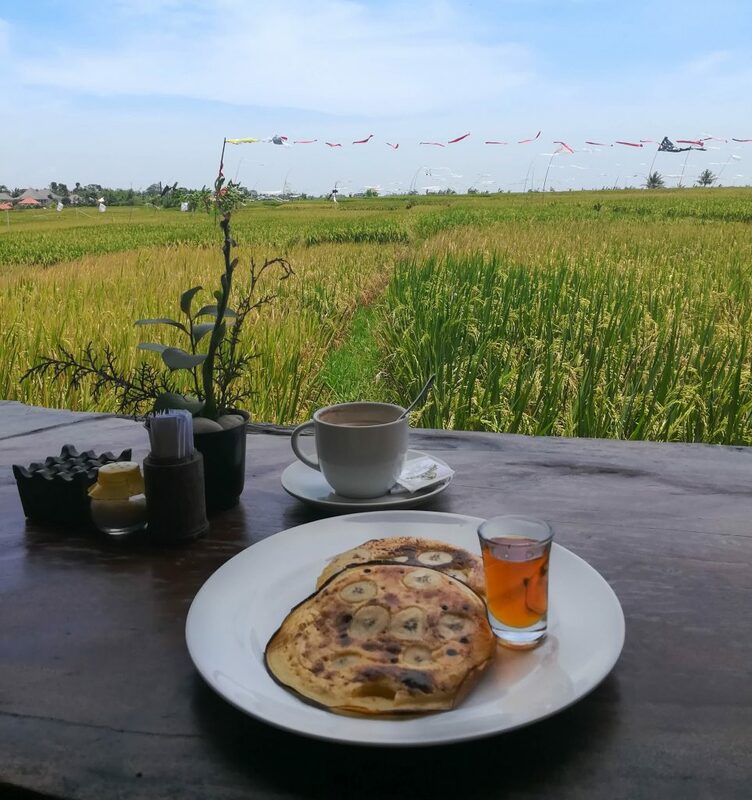 Don’t get me wrong, I honestly love Canggu and Bali in general, but there are some things worth to consider if you are going. It can be a bit touristy, with a aussie vibes everywhere. The traffic, mostly around Canggu is always busy. The nightlife can be loaded with drunk people. That’s all I could think of. I know that I probably won’t find a place where everything is perfect, so for me, it’s not a problem. But it’s worth to consider if you’re going. Anyways, I loved Canggu and I am excited to tell all my tips. First of all, you need a valid passport and a tourist visa for a visit to Bali. Most of the countries have a visa on arrival for one month, but it’s also possible to get a 2-month tourist visa. You have to arrange the 2-month visa at your Ambassade in your home country. There are more visa’s like working and permits, but you will find online the best updated information. The most common transport is renting a scooter. Bali isn’t a big island, but the traffic can make a 2 km ride easily take more than 30 minutes. With a scooter, you’re able to move easily between the cars so that you’re not stuck. 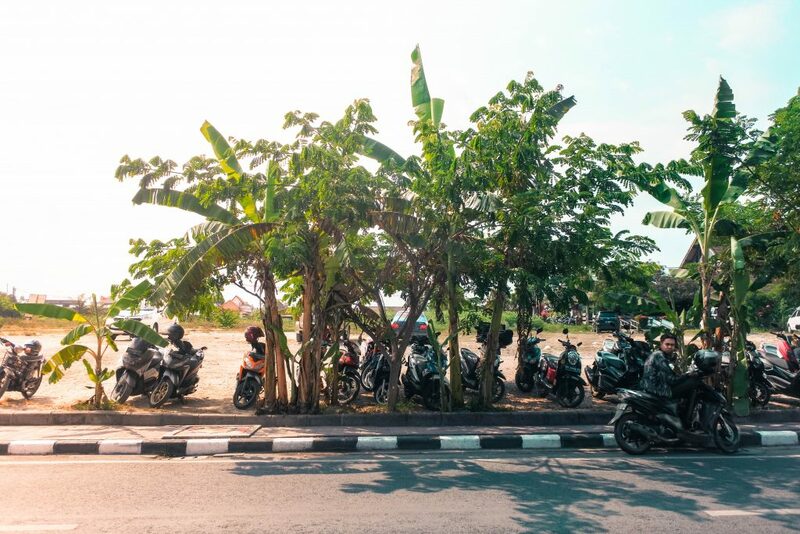 It’s also possible to rent a car, but I wouldn’t suggest that in Canggu or Bali in general,you’re not that flexible when you have a scooter. Some people are a bit scary for the traffic and feel most confident by renting a bike, that’s also possible! Make sure you have your internal driving licence with you if you rent a scooter or car. 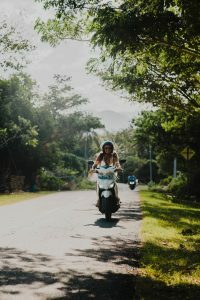 My go-to Scooter rental in Canggu is; J&D rental. I saw a couple blogs writing down his name, so I wanted to check it out and was really happy with it. This guy speaks fluently English, has a lot of scooters (also offers bikes) and is really easygoing. He also gives a fair price and checks every bike once every 2 months. Budget in roepiah: Scooter rent: daily: 50-70.000 a day; weekly around 200.000-250.000; monthly between 650.000-900.000. Of course, the amount of money depends on the kind of motor, but also on the scooter rentals. There are a couple places that don’t ask fair prices, so make sure you don’t pay to much. If can’t drive or don’t like to drive by yourself there are also other options. You can use the app Go-Jek for a scooter taxi or car taxi. You will find the app in your app store on your phone. 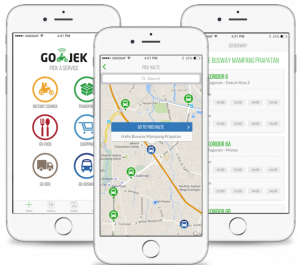 Go-jek is an app, works a bit like uber, but is made for Indonesia (in most places uber isn’t allowed). Go-Jek is mostly cheaper than other taxi’s like bluebird (they drive around in the south of Bali) or grab taxi (app). You need internet to use the app, this can be on the wifi of your guesthouse (to pick you up) or you can buy a local sim with wifi on it. Did you now that Go-jek is actually more than just a transport app? It’s a transport/ delivery service that offers transport, food deliveries, massages and more. These taxi’s you will find everywhere in Bali. It’s a bit more expensive than Go-jek, but you don’t need an app to use it. Make sure you always discuss the price first or ask if he turns on the meter and check if it works. Otherwise, people can ask too much money for the taxi driver. There are a lot of places you can stay, guesthouses, hostel, hotels or Airbnb. It totally depends on the kind of budget you have and how you would like to travel. After this house, I stayed in another place, a guesthouse closer to Canggu. 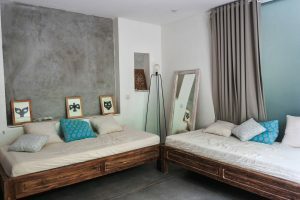 Guesthouses are budget friendly to stay when you’re in Bali. To give an idea, I paid around 8 euros a day for a basic room with a bed, closet, ventilation and a bathroom. There was also a shared kitchen en swimming pool. If you’re up for staying one month somewhere, make sure you only book for a couple nights and talk to the owner. Most of the time they will do you a better offer than you will see online. Best rates: Common Welt Bank, Mandiri, Permata Bank. I highly recommend buying a sim card with 3.5 g (or more if you prefer that of course). It only costs a couple euro and you’re good to go. Also handy if you need a taxi (go-jek) while you’re staying in Canggu. I can recommend Happy Cell, a small shop on the Jl. Raya Semat, that offers fair prices (most shops will ask too much because you’re a tourist). 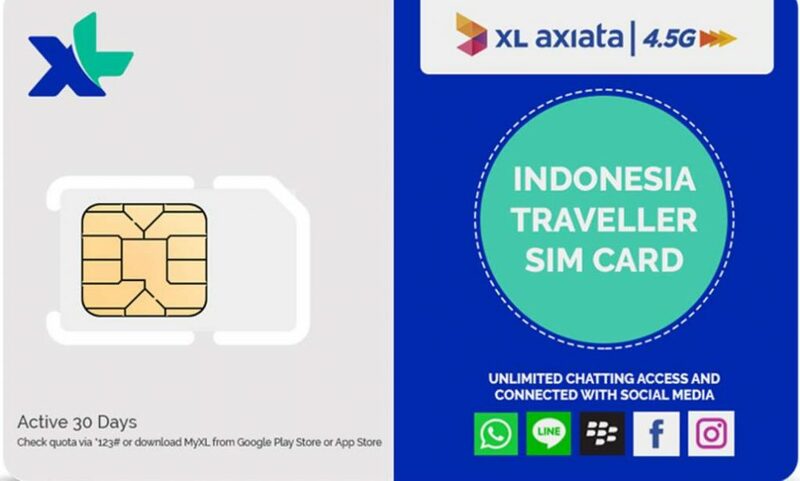 The provider name of the sim is XL Axiata. The traffic on the streets can be a bit chaotic. It can take a while to adapt, but I am sure that if you understand a bit about the streets, it will go way easier. This street is the most popular, also known as the main street. This street can be really busy. On this street, you will find most of the surf shops, boutiques, food cafes, boutiques and markets. 2. Jl. 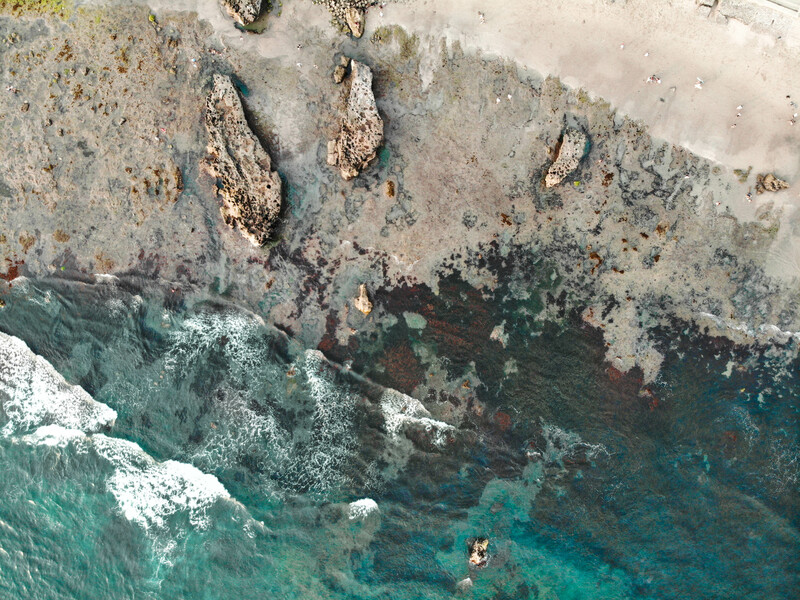 Pantai Batu Mejan. On this street you will find mostly food cafes, guesthouses and surf stay. 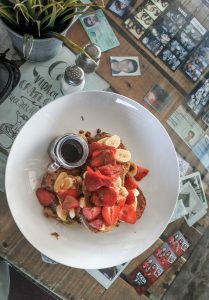 This street is quieter than the other streets, you will find the co-working space Outpost (link), gyms (Crossfit), guesthouses and more food cafes. 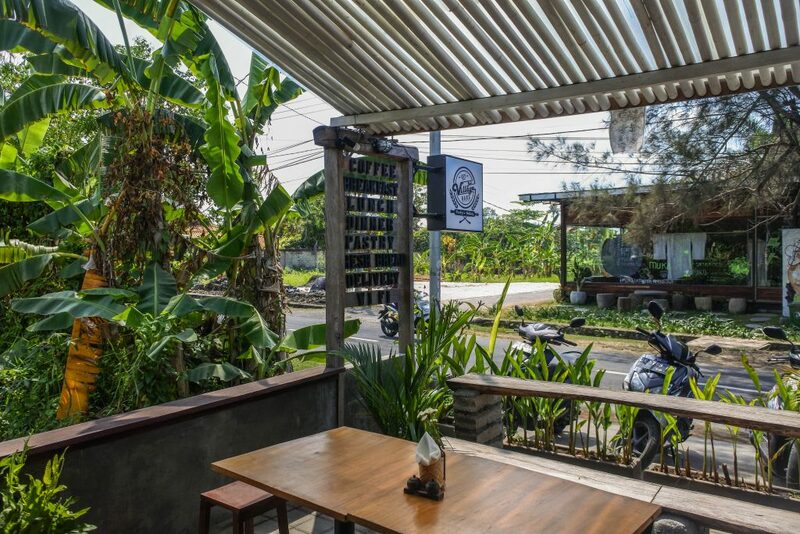 Laundry places are all over Canggu, I haven’t tried all of them, only the place Nandini on the JL Raya Canggu. But I would say, just see where you’re staying and search from there. It’s easy to find a cheap place anywhere for your stuff! Most places offer a one day service, so you have clean clothes the next day again. Siloam Medica Canggu. This one I tested in person, 24 hours service, cheap and a really good service. Old Mans: A really busy surfing beach, you’re not allowed to swim here, but it’s a nice spot to chill and have a drink. Echo Beach: This is a more quiet beach, especially when you walk to the right. You will find cheaper beach bars and a big chill area. Berewa Beach: This beach is most popular because of Finns, a new big beach bar with a swimming pool and a lot of recreation areas. If you walk behind it to left or right you will find more low key places where you can enjoy more local vibes. Most cafes and accommodations have wifi. However, the wifi is probably not that good as you’re used to. Most co-working spaces are offering 4g wifi, but the average wifi in Bali isn’t that good and also a bit unreliable. So, if you need good wifi, it can pay off to check some co-working spaces for a day pass, week pass or month pass. 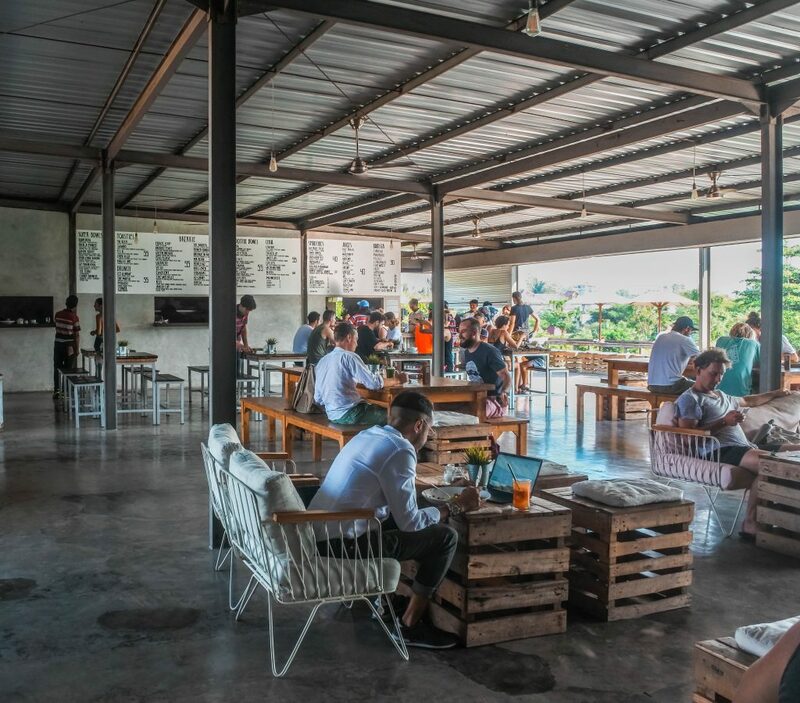 In Canggu, you have a couple of co-working places. A co-working place is a place where a lot of freelancers, expats or other creative people work. 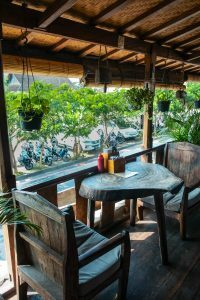 In Canggu, the co-working spaces offer good wifi, a cafe, a swimming pool, but above all a lot of people with the same goal and a network for life. Most popular co-working spaces are Outpost and Dojo. 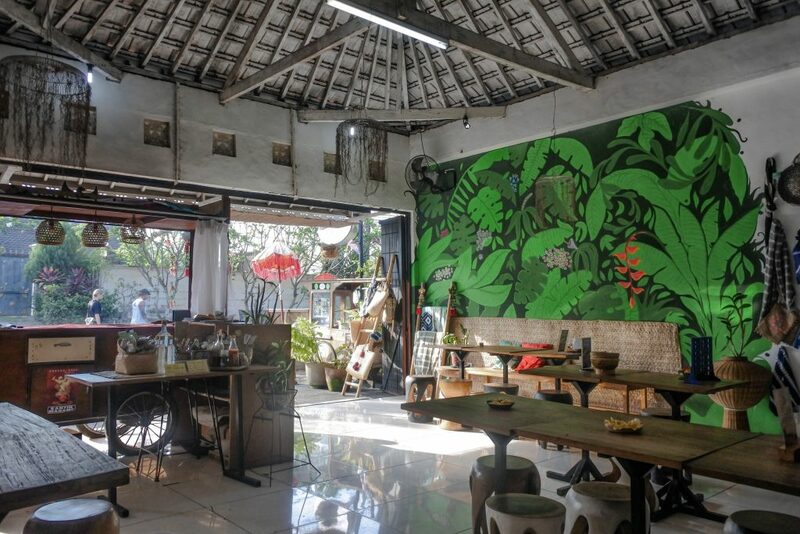 Dojo is one of the oldest in Canggu and Outpost recently opened in Canggu (October 2018). You can buy a day pass or you can buy hours per month. The co-working spaces are also offering co-living. If you’re curious how it is to work in a co-working space in Canggu, Stay tuned! There will be a review coming on my blog about my experiences. 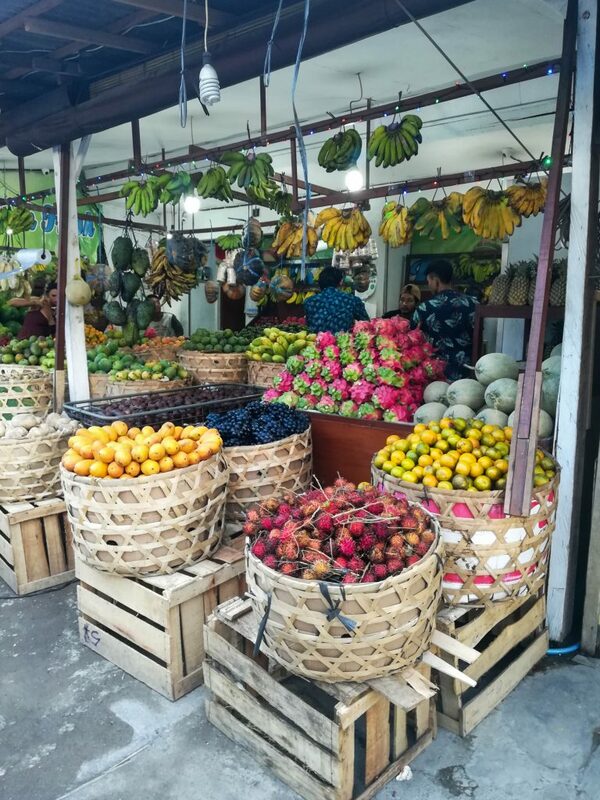 This one is a bit hidden, although it’s not located on the main street or in Canggu centre, it’s definitely worth visiting. It’s quiet, not yet discovered and a really nice place to work. The wifi works good and the coffee tastes amazing. 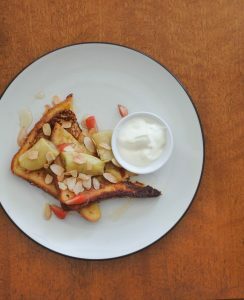 Did I mention already that the breakfast is really good? 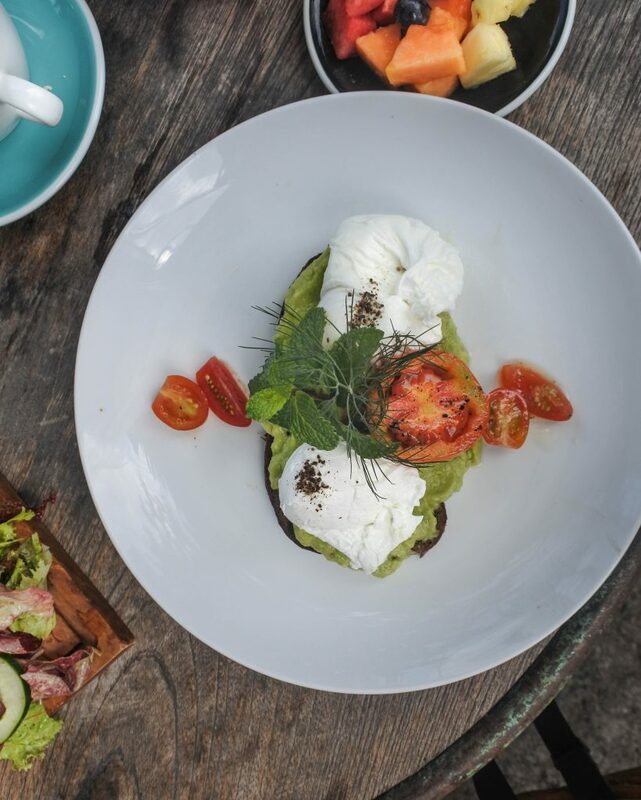 This place is nicely located close to Echo Beach and offers a really good breakfast. A nice place to work outside in the shadow. Also, the coffee is really tasty and it offers plant-based milk options too. This place is not the most beautiful one from inside, but the place is amazing. It’s not yet discovered, mostly it’s quiet. 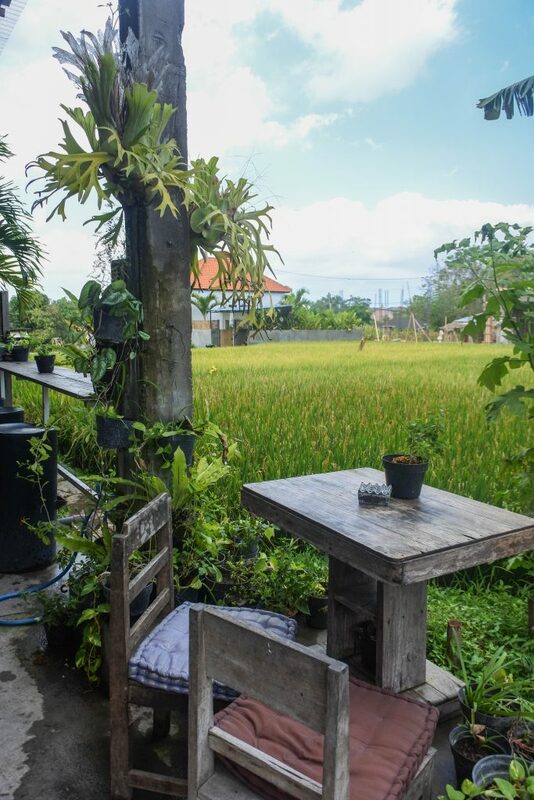 The styling is really mixed up, but the chairs are really comfy and the view is on a big paddy field. Also, the food is really tasty and the people are really friendly and helpful. For sure, a must-visit. This cafe is at the beginning of main street, is also a shop, a bit chaotic, but a lovely vibe. The food is cheap and good. Only the coffee was a bit weak but besides that a good place to grab some breakfast or lunch. $$: Old Mans, The Lawn, La Laguna, Fins, La Brisa, The Slow. Teaching beginners and intermediate surfers. Located on the right side of The Lawn. More than 7 years of experiences, full of energy, easygoing and above all a really fun surf instructor. 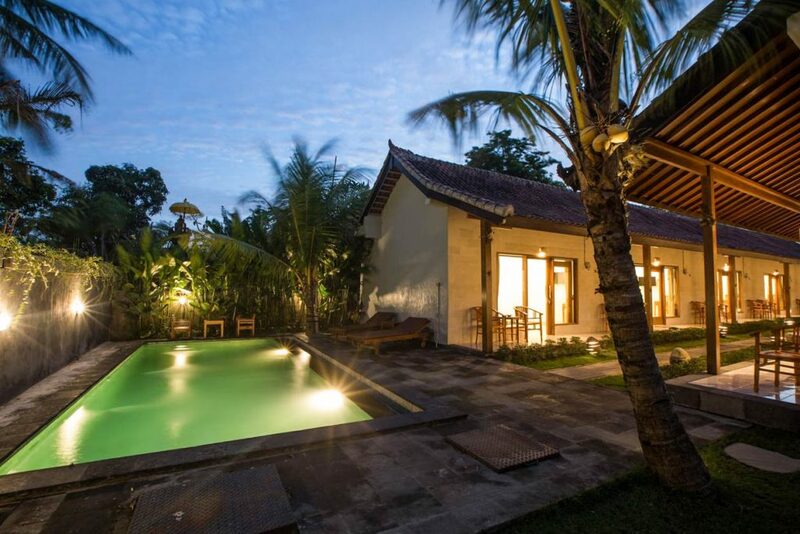 When you’re in Canggu, don’t forget to relax and enjoy a good massage. There are a lot of massage places, some better than others. I collected a couple nice, clean places with good massages. + High-quality food places, always alive, stunning nature, cheap living, indonesian- culture, many working spaces & good surfing spots. 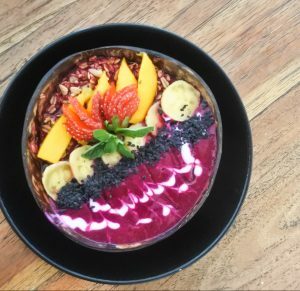 – It’s starting to be a bit touristy and more pricey than other places in Bali. I hope this guide will make living a Canggu a bit easier. It’s a bit long with a lot of information, but I decided to write down everything I know to give a full guide. If you have some tips for me of places I missed and have to discover, let me know!